Cancer survivors have also been sharing their stories of how they defeated the deadly demon to motivate Sonali Bendre in her battle with her life-threatening disease. Sonali Bendre has declared an open war against the deadly demon which is currently resting within her body in the form of high-grade cancer. She recently shared an emotional video of herself getting a haircut for the cancer treatment which she is currently undergoing in New York. 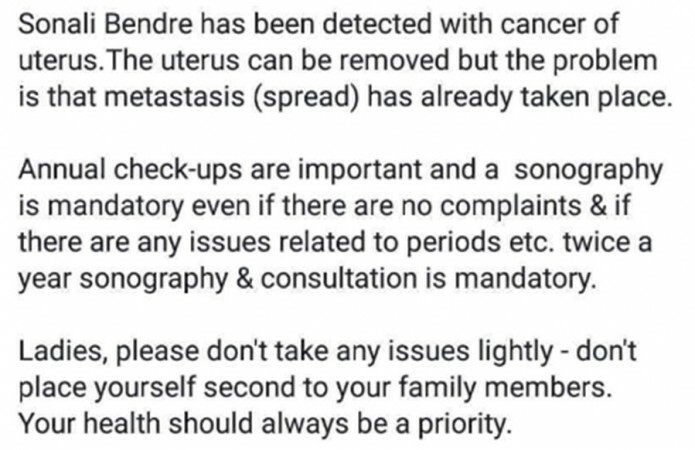 While many of her well-wishers along with many Bollywood celebrities have been lending their emotional support on social media, a Vedic astrologer has reportedly done some research about cancer wise which will definitely bring a ray of hope for Sonali Bendre and her concerned fans. 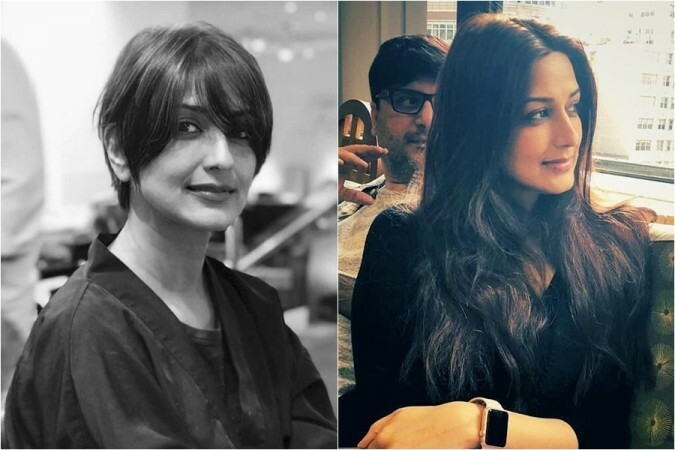 The astrologer named Anirudh Kumar Mishra took to Twitter to share his valuable inputs the moment Sonali Bendre revealed that she is suffering from cancer which has reached a critical stage. "I have done my research on cancer horoscope wise and the causes are usually Jupiter and Ketu. Luckily this year the combinations of Ketu and Jupiter is weak, so good medical care can help you recover from this," he wrote. Fans have been constantly pouring in their support for Sonali. Some of them are cancer survivors who have been sharing their stories of how they defeated the deadly demon to motivate the actress in her battle with her life-threatening disease. "#SonaliBendre I know you. You know how there is a connect. I had colon cancer that too metastatic reached my liver. Don't worry ... I got treated in INDIA and I am fit and fine back to work. Stage 4. Cancer Can Die," a cancer survivor tweeted. Another fan shared a story of his sister-in-law soon after Sonali shared her video of chopping her hair off. "My Sister in Law shaved off her head after first chemo due to falling off hair when she had cancer. So nothing to worry hair will come again. Fight with cancer with strong Wii to live," she tweeted. Another cancer survivor shared some words of motivation for Sonali to lend her support. While another chose to spread awareness about cancer and do annual check-ups so that the life-threatening disease could be detected at an early stage. Several reports doing the rounds on the internet claim Sonali discovered she was suffering from a life-threatening disease so late only because of her sheer negligence. We wish Sonali a speedy recovery.